Natsume president and CEO Hiro Maekawa has delivered a new message to fans. In it, we learn some interesting information about Harvest Moon: Light of Hope Special Edition and more. According to Maekawa, the latest Harvest Moon game “performed well beyond our forecast and even set new sales record with the number of both physical and digital combined.” Natsume is also preparing “several new titles that will be announced in the near future”. 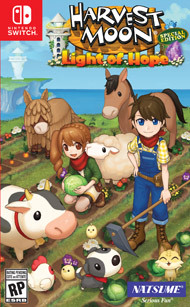 Natsume brought Harvest Moon: Light of Hope to Switch today. Alongside that, a limited edition was offered through the NIS America store. Check out an unboxing video for the entire package below. Natsume has issued a new trailer for Harvest Moon: Light of Hope – Special Edition, which was added to the PlayStation YouTube channel today. Though not of the Switch version specifically, the game will look identical on Nintendo’s system. You can watch the video below. 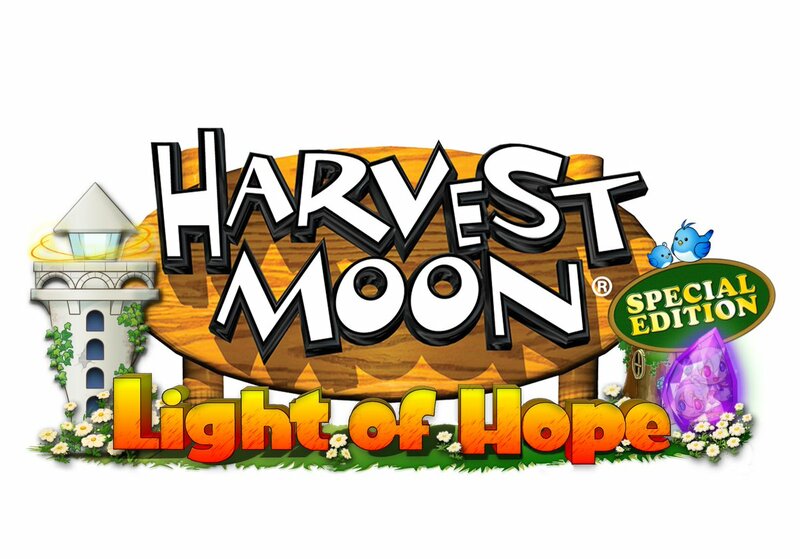 As we reported on a few weeks ago, Rising Star Games is handling publishing duties for Harvest Moon: Light of Hope in Europe. The company is releasing a collector’s edition for the game. Pre-orders are now open on Nintendo UK’s online store. You can also still place an order on Amazon UK here. 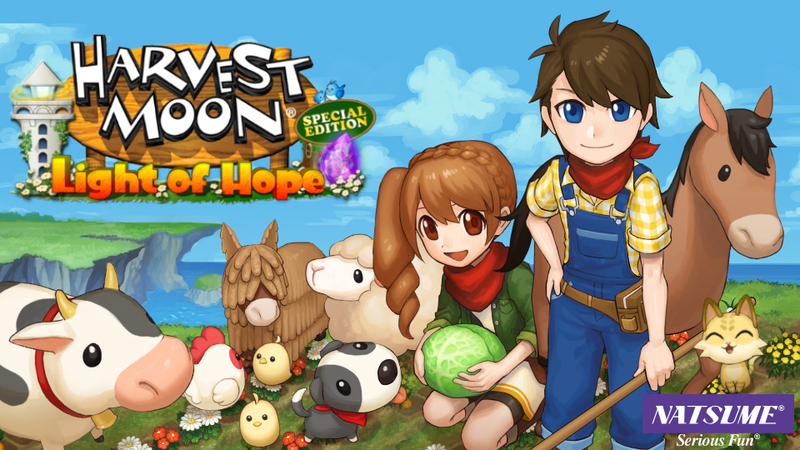 Over in Europe, Rising Star Games is handling publishing duties for Harvest Moon: Light of Hope. The company intends to release a collector’s edition, and pre-orders are now open. Amazon UK has it here. 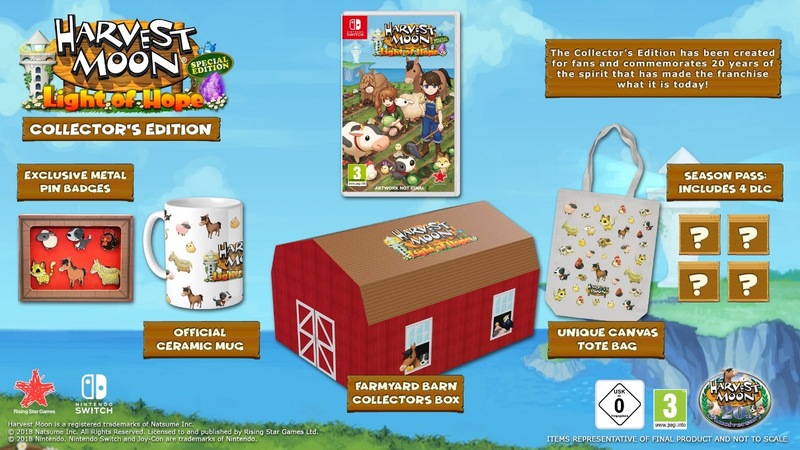 The Harvest Moon: Light of Hope Collector’s Edition includes the game, metal pin badges, a mug, tote bag, collector’s box, and DLC. 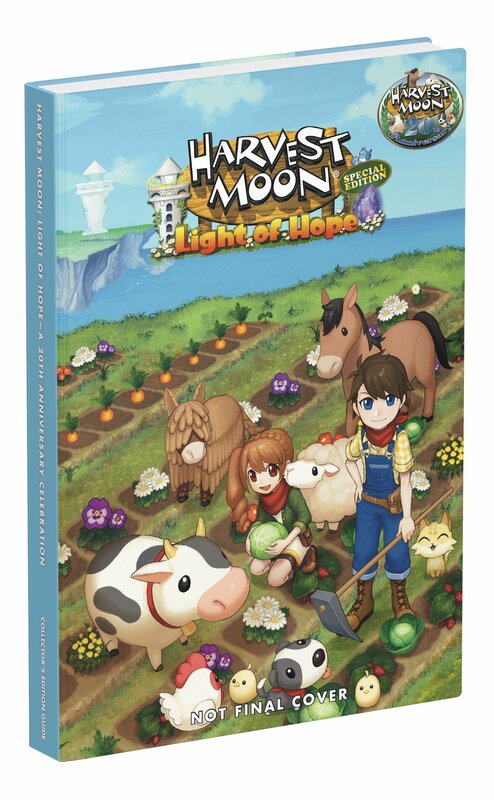 Amazon US is also taking pre-orders for Harvest Moon: Light of Hope – Special Edition (just the game). The official product page is here. 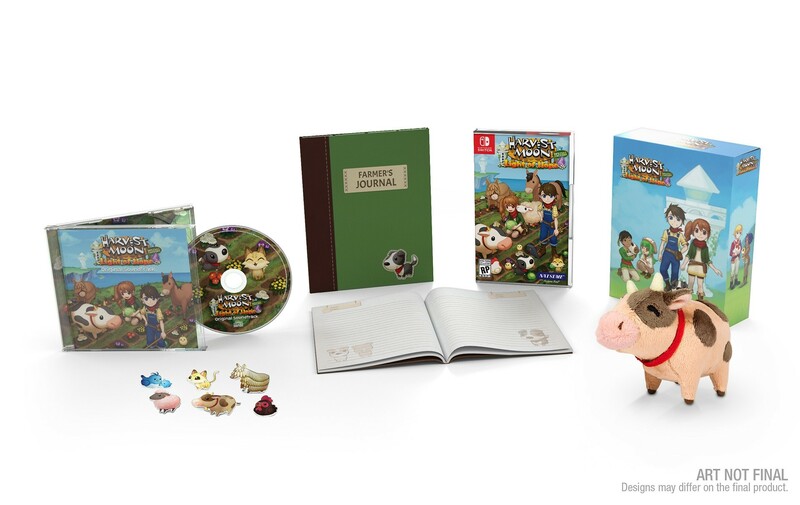 When Harvest Moon: Light of Hope makes its way to Switch in May, it will do so as the “Special Edition”. But thus far, Natsume has yet to really clarify what makes this version “special”. We do at least know about one new element. Soleil, revealed this week, will be a new character in Harvest Moon: Light of Hope Special Edition. 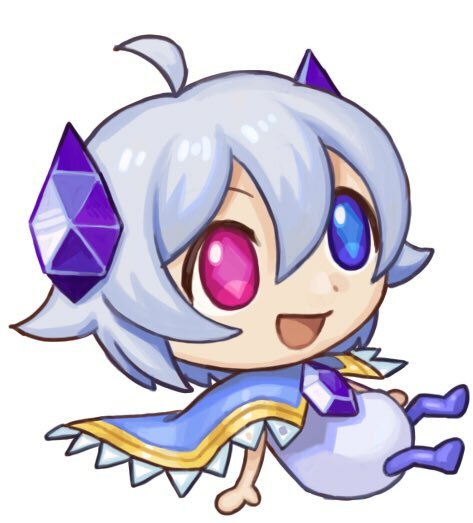 The actual specifics behind Soleil’s origin are currently unknown. Natsume should be sharing more on Harvest Moon: Light of Hope Special Edition in the weeks ahead. 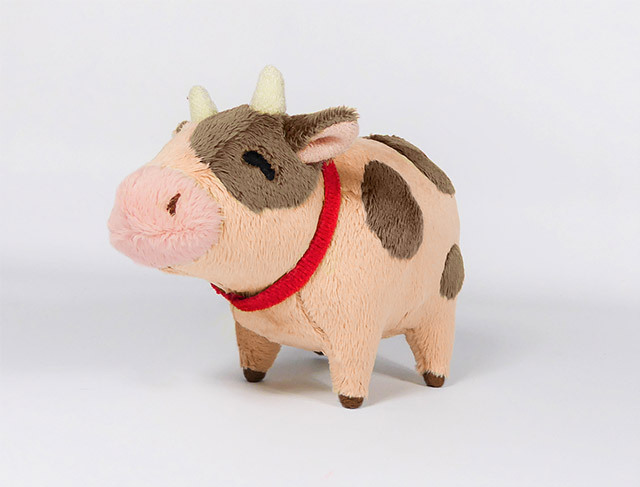 Natsume is partnering with Prime on the new Harvest Moon: Light of Hope A 20th Anniversary Celebration Collector’s Edition Guide. It should be available in time for the new Switch game in May. The new guide packs in 350 pages of Harvest Moon goodness. Fans can expect a foldout poster, interviews, farming strategies, a complete mission guide, and full character information. The full set will cost you $64.99. Pre-orders can be placed on the NIS America store here. Thanks to GoldMario791 for the tip. Update: Bumped to the top. We have some additional details from a Natsume press release. 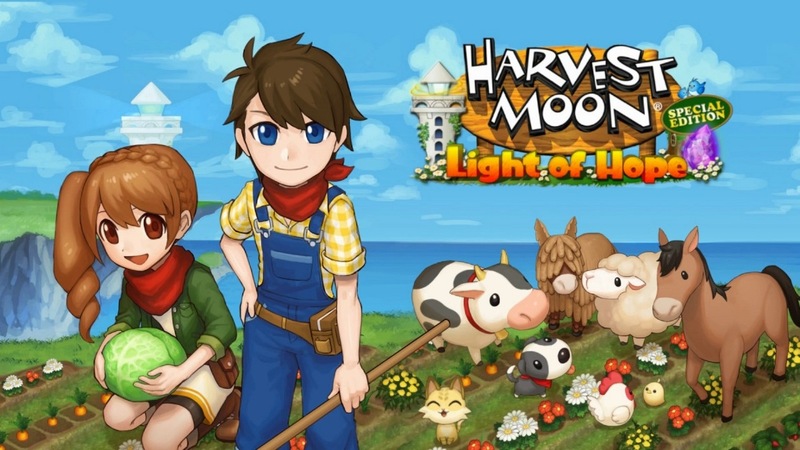 Harvest Moon: Light of Hope “has some brand new features only available on the console versions.” Natsume CEO Hiro Maekawa is also teasing “special bonuses to go along with the game.” Finally, Harvest Moon: Light of Hope will cost $39.99 / €39.99. Original: Natsume has finally provided an update on the release of Harvest Moon: Light of Hope on Switch. Today, the company announced that the game will be coming to Nintendo’s console as “Harvest Moon: Light of Hope Special Edition”. For the time being, Natsume is keeping quiet on the specifics regarding what makes the console version a “Special Edition”. We’ll be hearing more soon. Harvest Moon: Light of Hope arrives on Switch in May. Rising Star Games will handle publishing duties in Europe, Australia, and the Middle East.